Police have tasered and detained a man after reports of Muslim worshippers being attack outside a mosque. 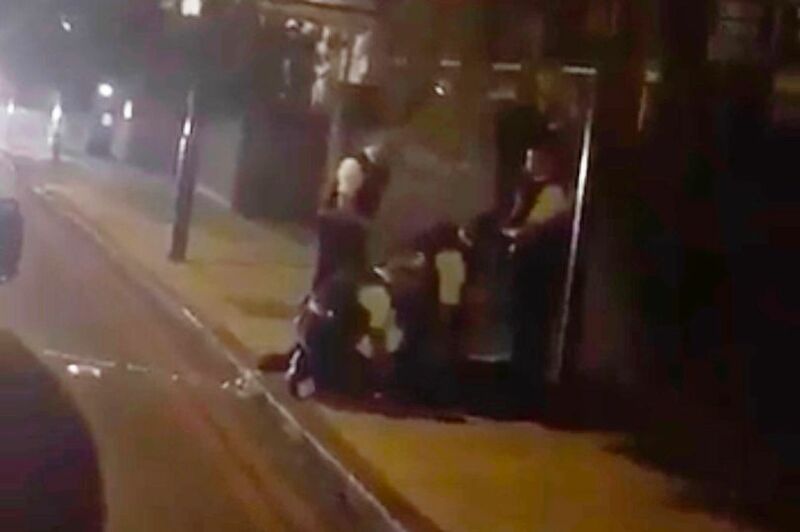 The incident happened outside Regents Park Mosque in Central London in the early hours of Wednesday. A witness said the man, who was aged in his 30s, came to the entrance of the most and began "shouting abuse and threats". He was dragged out and eventually arrested by police who arrived within minutes, the witness said. There were reports the suspect was waving a weapon - police said this later turned out to be a shoehorn taken from inside the mosque. 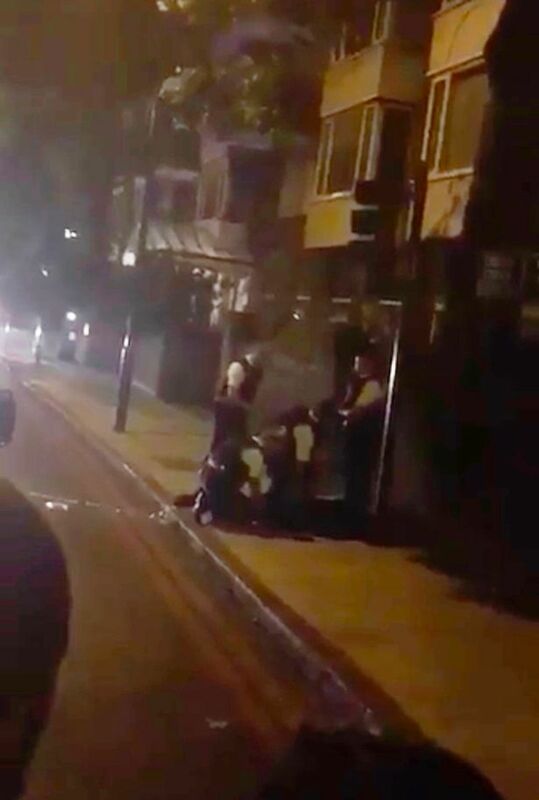 Video posted on Twitter showed a police van arriving outside the mosque as officers surrounded a man in the road. He appeared to initially follow instructions and lie face-down on the pavement. But at some point a taser was deployed and police began shouting at the crowds of worshippers leaving the mosque to stand back. The Met Police said a man had been arrested on suspicion of affray and tasered. The alleged weapon is believed to be a shoehorn taken from inside the mosque. The Met said in a statement: "Police were called at 01.22 on 21 June to reports of a man attacking people at Regents Park Mosque. "Officers attended and found a man waving an item around. There were no reports of anyone injured. 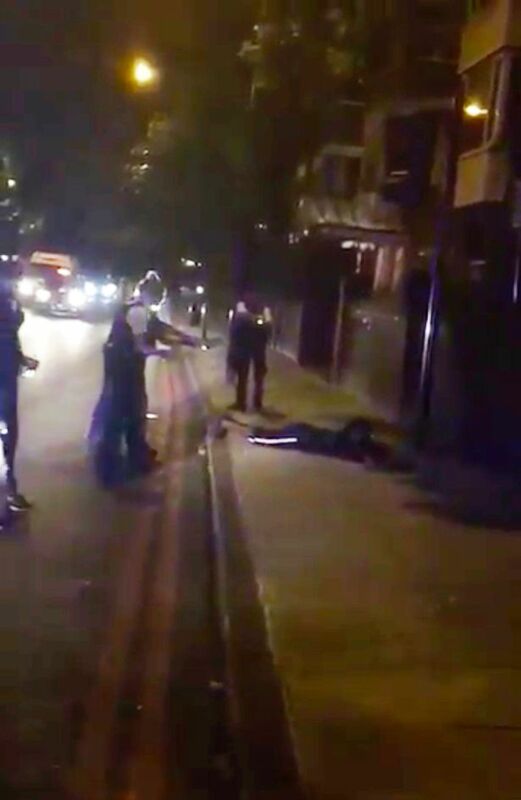 "The man was Tasered and arrested on suspicion of affray and has been taken into custody at a central London police station. "The item being waved was found to be a shoe horn taken from the Mosque. "The incident is not being treated as terrorism related at this time." "Officers are keeping an open mind regarding any motivation for the incident. "Enquiries by Westminster officers are ongoing. "Any witnesses, or anyone with any information, can contact police in Westminster via 101, or via Twitter @MetCC. "To give information anonymously call Crimestoppers on 0800 555 111 or visit crimestoppers-uk.org." The incident sparked fresh alarm among Muslims following Monday's incident at Finsbury Park mosque. A man died and 10 others were injured after a man drove a van at a crowd of Muslim worshippers leaving prayers.